7th Annual Event! Doors Open at 6:00pm – Midnight! It’s that time of year again to let loose and throw inhibitions to the wind, Well at least just a bit!! Enjoy a festive and fun evening that mixes the sounds, samba and feathers of Brazilian Carnaval with the carefree spirit of Mardi Gras. 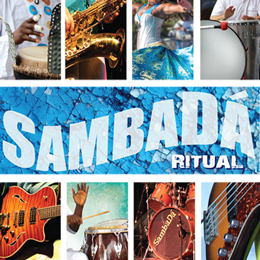 Entertainment includes the Brazilian band SambaDa, the Brazilian Dance Company featuring dancers and percussion, singer Fabiana Passoni (Bossa Nova), DJ Sylvan playing music in Boiler Room, a Costume Contest, Photo Booth and more!!! Admission includes a complimentary samba class at 7:00pm, Lambada-Zouk class at 9:00 and one COMPLIMENTARY serving of Mardi Gras Punch from the Mardi Gras Bar. Special VIP Ticket grants access to the VIP lounge with a delicious spread of appetizers (sweet and savory) and Private Bar (no host). Food Options (no-host): Italian, Thai, Mexican, Gyros, Burgers & delicious beverages, Brazilian desserts and wine/drinks on site (no host). 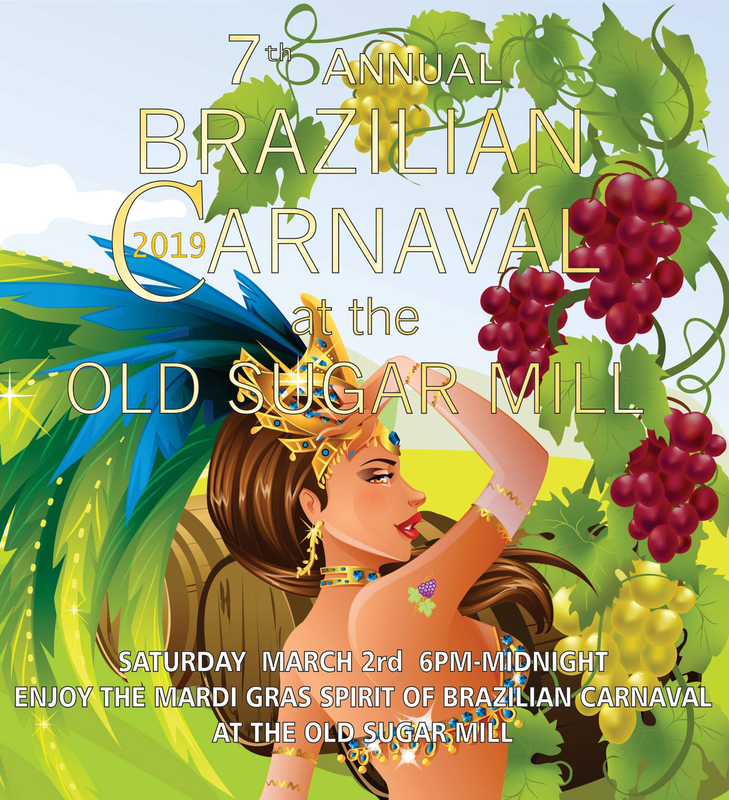 Come and enjoy the Mardi Gras spirit of Brazilian Carnaval at the Old Sugar Mill. 10:45pm – Brazilian Dance Co Finale Extravaganza!! Tickets also available via NightOut.